We work at the Hadrian Clinic (Collingwood Court & Lowry Ward) in Newcastle which is an Acute Mental Health Unit. We achieved our Star Award on 13Th September 2017. The whole unit was buzzing on that morning as we awaited Nic Higham’s (Inpatient Care Project Manager at Star Wards) arrival. Despite Nic stating in his email that it would not be a formal visit there was still a level of anxiety experienced by us all. We had assumed we were going to be assessed formally against all the benchmarks so had all our documentation, evidence of our achievements ready for Nic. As it worked out we did not need these as it is really is a self-assessing document and we spoke to Nic about our achievements, struggles and future plans. When we first scored ourselves on the benchmark we scored 59 and although we felt we could get this higher we were unsure how we could meet some of the ideas i.e. keep patient on ward for an extra few days to support new patients however from speaking to wards who had achieved this through our Talk 1st reviews we realised we could tweak some of the benchmarks to suit our ward and to achieve this idea we used the ‘tree of hope’ and encouraged patients to leave notes of encouragement and support for new patients as they settle onto the ward . It was really rather rewarding having the time to discuss our journey, talk about our sessions such as ‘mutual help meeting’, our community links (Tia Chi, walking football), chill out room, our varying activities timetable and our plans on introducing a carers support meeting and newsletter. Nic appeared very impressed not only with what we offered but our overall enthusiasm towards Star Wards. We got rather excited when he produced the award as we were only expecting a certificate. Nic then sat in one of our Mutual Expectation Meetings which involves staff and patients and we all celebrated our success with cake. 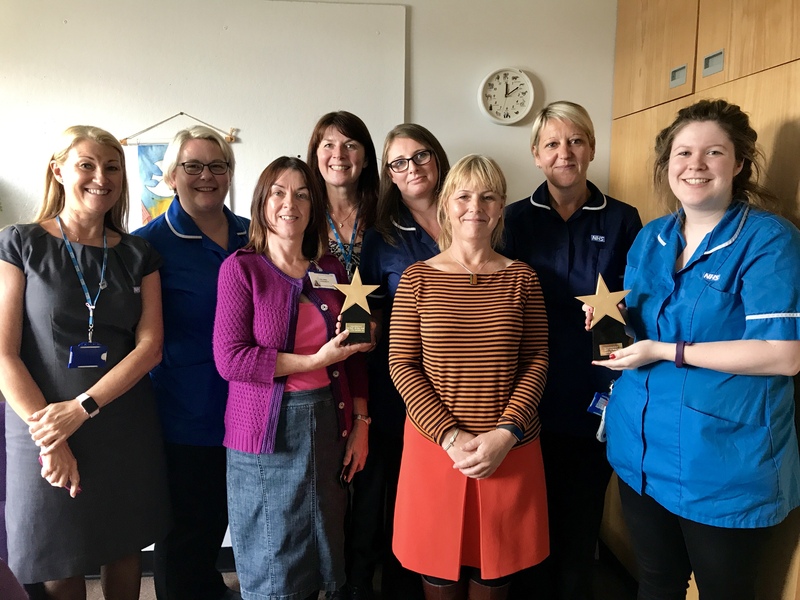 We would thoroughly encourage all wards to begin their journey as it has not only allowed us to achieve the award but brought our teams and patients closer together as we all worked together to achieve the award. We plan to carry out cross checks on each other’s wards every 2 months as we feel this will help us maintain our high standards. We would like to thank the Star Wards Team, especially Nic Higham, and to all at the Hadrian Clinic for their help and support.